I’m trying to reclaim my life in some ways – the hours I’ve worked have been awful, and since changed for a bit more humane schedule. So, to reclaim my life, it means I cannot let the whiney, lazy me take over and say, wah, not enough time! This morning, up at 6, coffee, pulled on my stinky clothes from yesterday, and went out, film cameras and phone in hand. What a delightful thing to do! No one around . . . the birds were singing their mating songs (especially lovely were the mockingbirds) and flitting about. Everywhere, the pungent scent of the chaparral’s resinous plants. The sun was still low in the sky. As I walked, I looked, and saw . . . a wild rose in bloom . . . quails running for cover . . . mourning doves within a few feet of me. A slice of heaven! 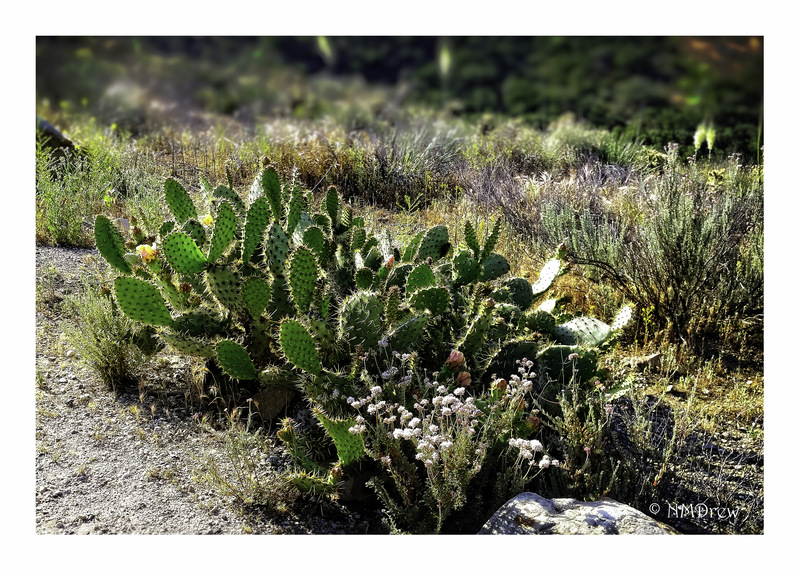 This entry was posted in Glimpses and tagged cactus, California, Conejo Valley, phone, photography, Samsung Galaxy S5, Thousand Oaks, Ventura County, Wildwood Park, yucca. Bookmark the permalink. Up at 6!! On a Sunday!!! I’d not even know who I was at that time of morning 😀 Well done, I’m going to have to do that at least once this month 😦 Love the backlighting on the cactus.